the roads are open – it’s official! Hit by wildfires and mudslides here in Santa Barbara, we found that our local emergencies echoed so many other emergencies around the world. We witnessed communities coming together in the Carolinas (Hurricane Florence), Florida (Hurricane Michael), Indonesia (Earthquake and Tsunamis), Guatemala (Mount Fuego Eruption), Oaxaca (Earthquake), India, Somalia, Japan, and many others (flooding). We humans need each other. That includes people whose calling is to tend Soul in the world, like so many of our Pacifica Graduate Institute Alumni. 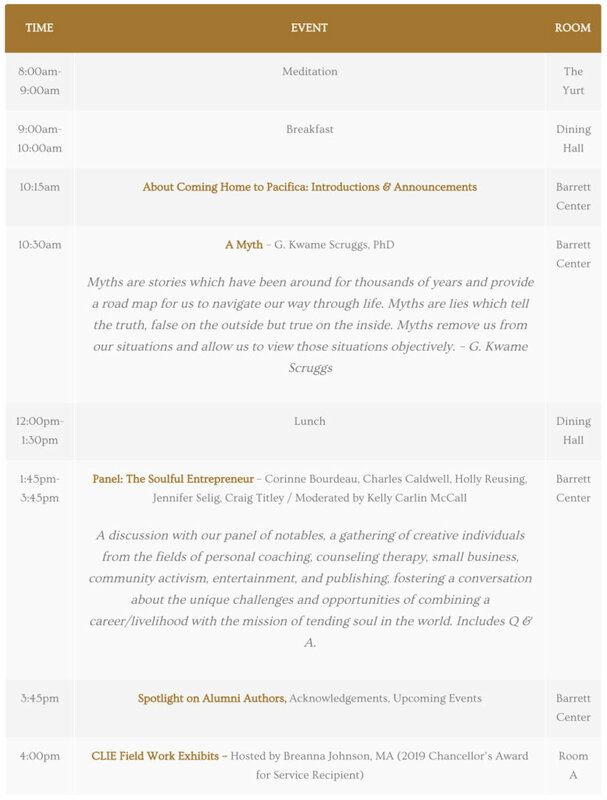 Come Home to Pacifica March 1-2, on campus or on-line, to regroup, refresh, and restore yourself in community with others. 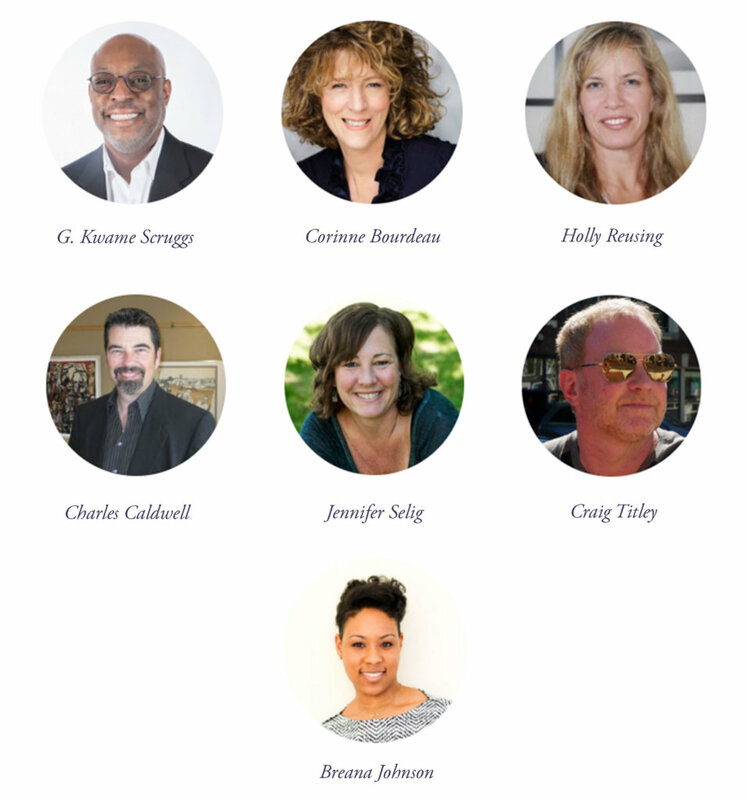 Bring your healing talents to your community, and let your community extend healing to you. 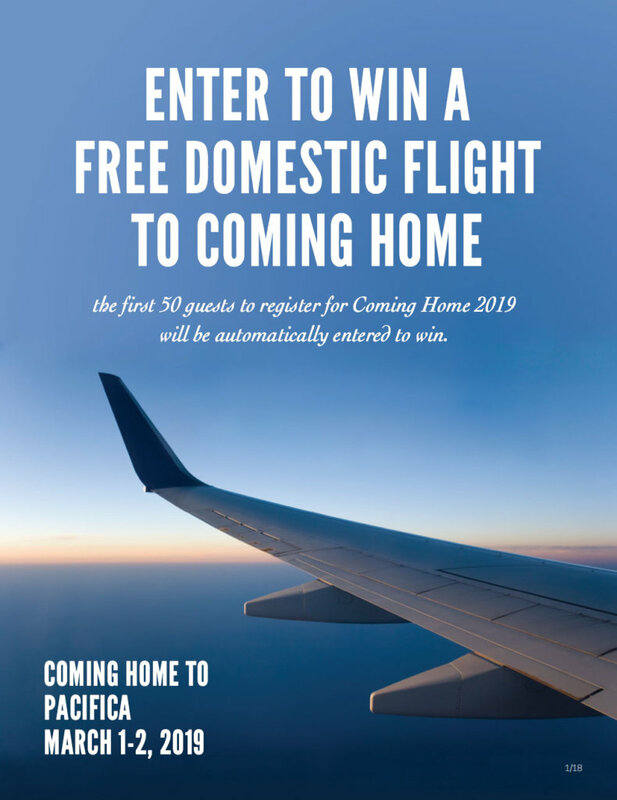 The first 50 people who register for Coming Home will be automatically entered to win a FREE domestic flight from United Airlines. Details below! We hope you can find support and strength through this year’s Coming Home theme, Stronger Together in Community, whether you can join us on campus, or via live-streaming. Winner will be randomly selected on March 1st.